It has taken me years to find something that worked well for me, shifting from Notepad++ to Sublime, Apple Notes, Evernote and probably a few that I've forgotten about. 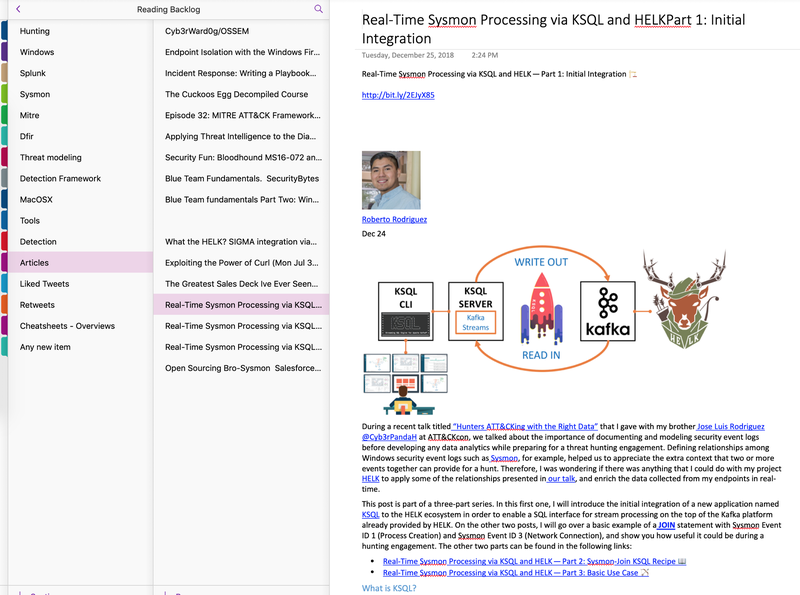 Currently I use Microsoft OneNote and even though I've seen it for years somehow it never grabbed my attention well enough until I started working for a company where I've seen people using it quite intensively with nice results. Granted, it also has it's downers but generally it's quite a solid solution. One of the things I do like about it is the search, which works really well. It works across all notebooks and pages, if you want. Which is awesome when you have over 50 notebooks, containing thousands of pages like me. This search feature is particularly useful for my Reading Backlog notebook. Everything I want to reference, investigate, liked, retweeted is stored within this notebook, most of it through simple workflows. Next to Twitter, I use Feedly as my main hub for ingesting most of my news, blogs and so on. 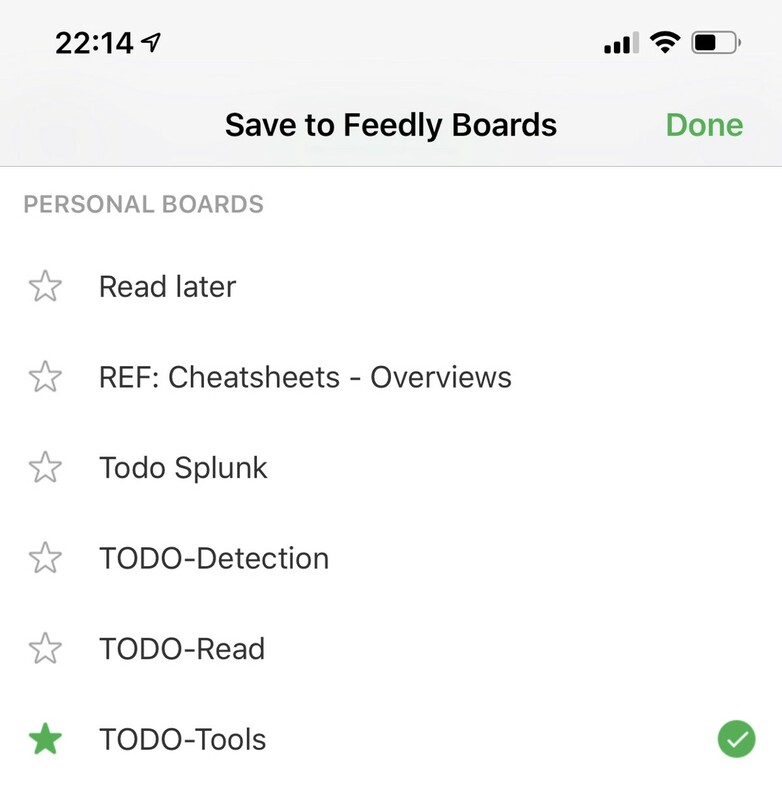 Feedly has a thing called Boards, which is a way to organise your articles you'd want to save or share with your team. 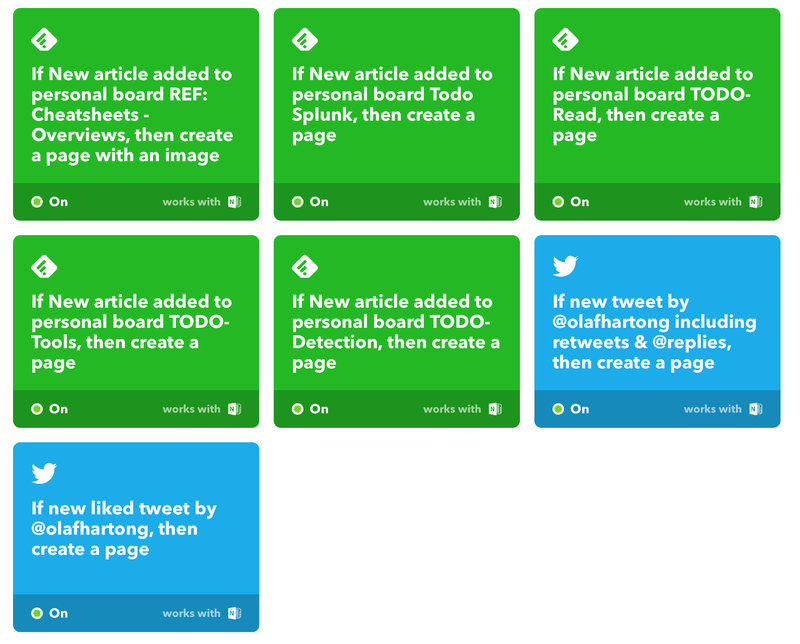 With a pro account, Feedly also allows you to integrations with IFTTT recipes. This is where my workflow comes in, I’ve created several boards which I can easily submit pages to from my browser plugin or my mobile, which I use a lot as well. The great thing here is that, whilst maybe not the most efficient, the output is pretty nice. Bookmarks get messy quick and also depend on the original content still being there. On top of that you can't search for content on bookmarks. This workflow downloads all the text and images on the page and stores them in a page within my notebook. When read I move them to one of my other notebooks. Should I want to find it again a few words from the article will allow me to find and read it again.